What screen sizes should my website cater for? As little as four or five years ago we only needed to consider building websites for one screen size. Ah, those were the days! Today of course things have moved on a great deal. Websites now have to be easily viewable and navigable on many different screen sizes from Mobile Phones to 80 inch Smart Televisions. 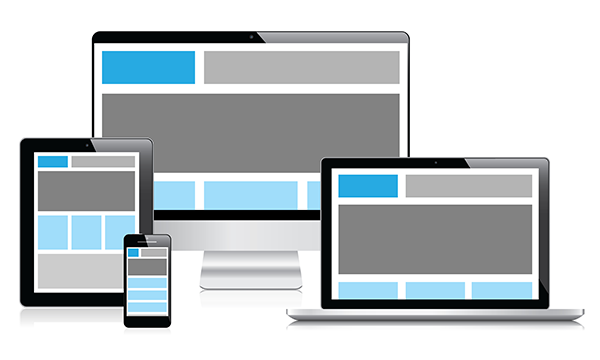 So what screen sizes should we consider when developing a modern website? Google pretty much dictates the ebb and flow of web traffic around the Internet. This means that most decisions we make about how we put our websites together and the technologies we use are determined by this one organisation. It is therefore a good idea to keep one ear to the ground when it comes to Google announcements, as we all need our websites to perform well in the Google search engine. So when we are planning a new website, what screen sizes should we be looking to target? To find the answer to this question, our first port of call should be Google themselves, as we want to ensure that our approach is inline with Google’s ethos. From smartphones and tablets to laptops and television, 90% of all media interactions today are on a screen and businesses that allow users to interact with their brand across all platforms and on all devices are able to generate more engagement. So it should now be common practice to consider all available screen sizes when developing a website. At Digital Ocean we use the “Mobile First” methodology when developing websites for our clients. This is more important that ever before because as of 21st April 2015, Google will be expanding their use of “mobile-friendliness” as a ranking signal. This change will affect mobile searches in all languages worldwide and will have a significant impact on Google search results. Consequently, users will find it easier to get relevant, high quality search results that are optimized for their devices. So from 21st April 2015, all around the world, the ability of a website to accommodate all screen sizes will directly affect its ranking performance. For this reason, at Digital Ocean Web Design we build our websites from the ground up to be responsive to mobile devices. Over the coming weeks and months, we will be posting incredibly interesting web-related articles here. We’ll be covering a wide array of topics geared towards the internet and how it can be used help promote small and medium-sized business.